one afternoon, while browsing thru the appstore, i saw one game which i thought would be fun so i downloaded it. the game is called clumsy ninja. meet clumsy ninja, the most hapless ninja ever to grace a touchscreen! train him, throw him, tickle him, and even tie balloons to him. 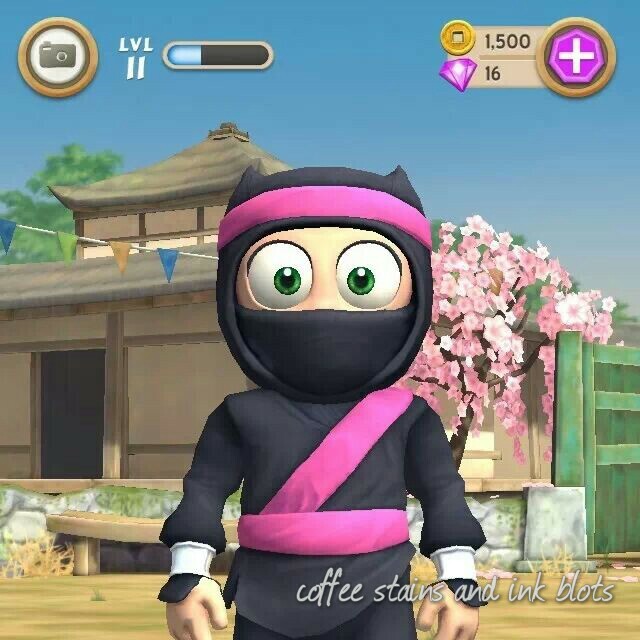 everything you do will make clumsy ninja more skillful. basically, the story line revolves around this ninja who is training very hard so that he could save his ninja friend kira who was taken by some bad guy. the ninja is responsive to almost anything you do to him. you can train him using trampolines, punching bags, towers, cranes and other stuff. there are also potions involved and certain animals like the chicken which runs around and lays an egg hourly. collecting these eggs will earn you coins. through the different training exercises, you gain experience, and when you have reached a certain amount, you will move to the next level. different colored belts are also awarded by your sensei as you go through your ninja path. coins and gems are awarded throughout the game, but you can also buy these. your sensei will also give you certain tasks to complete which will help you familiarize yourself with the different aspects of the game, plus you earn extra xp and coins by completing these. overall, the game is very nice. it is not high maintenance and you can just access the app whenever you have the time to do so. the graphics is good, and the environment is interactive. have fun exploring with your ninja! a few nights ago, (wednesday i think), sun cellular called me up to inform me that since i am a loyal postpaid subscriber of sun for two years, i am eligible to avail of their sun perks. they will be given me a new unit, given that i will be in contract with them for another 2 years.